This past Saturday, October 21 we attended the 5th Annual Music 4 Life Concert organized by the I Will Survive Association. The mission of the I Will Survive Association is to reduce the stigma surrounding suicide and mental illness. They achieve this mission by creating an energetic, positive, and informative environment for those who attend their events. This year, Anthony Kameka, Lunar Wilde, Mocking Shadows, and DJ Kav played a great show at the Palace in Calgary, Alberta. Part of the proceeds will come to Centre for Suicide Prevention. 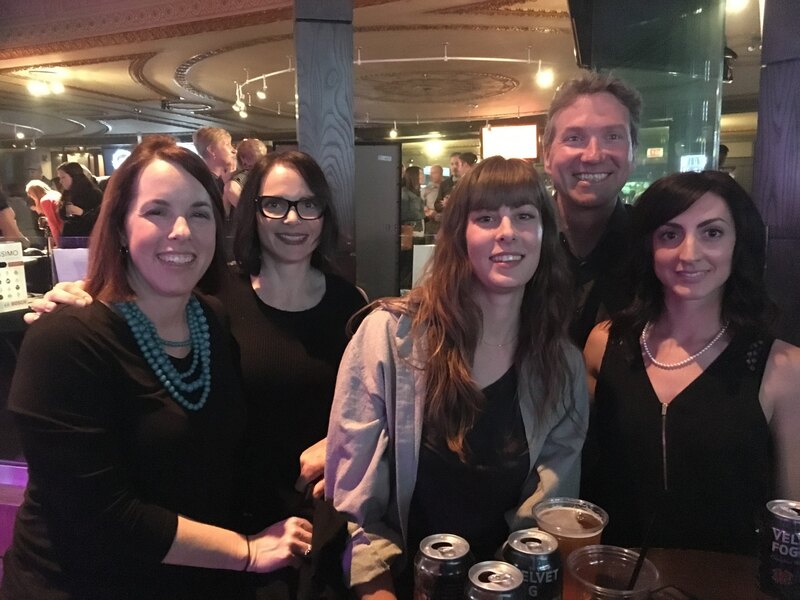 CSP Staffers Hilary Sirman, Mara Grunau, Crystal Walker, Dave MacLeod, and Tammy Bogdane.